- Pastors of Mennonite Church Eastern Canada (MCEC) are eligible to borrow books from the Milton Good Library free of charge. - A list of people around MCEC who are available for your worship service, retreat or Sunday school discussions. - Policies and other documents which are intended to foster the health of congregations and pastors. - A network of 30 spiritual directors in Southern Ontario, offering one-on-one and small group spiritual direction, contemplative retreats, prayer guides, and resources for congregations. - A current listing of available positions in MCEC. - These Salary Guidelines are intended to provide some uniformity across the denomination while allowing for adjustments based on the local cost of living. - Placements, installations, concluding assignments, credentialing, etc. - MCEC is committed to supporting congregations to ensure that they are safe for everyone. When sexual misconduct occurs (that is, uninvited sexual engagement of any kind by a church leader) the church takes this very seriously. - A program for pastors new to MCEC and the congregations who support them. - Supports beginning youth workers/pastors in MCEC as they enter into their first formal ministry experience and explore their own pastoral identity and vocational calling. - A program of lifelong learning - at the intersection of Christian faith and contemporary life for laypeople, church leaders, pastors, seekers, new Canadians, and others. 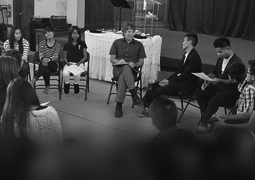 - A learning community with an Anabaptist vision, educating followers of Jesus Christ to be leaders for God’s reconciling mission in the world. - The mission of Conrad Grebel University College is to seek wisdom, nurture faith, and pursue justice and peace in service to church and society. 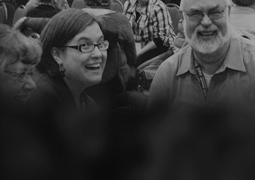 - Committed to building thriving faith-based congregations and organizations. - Full listing of MCEC continuing education and events. - Responsible pastors are constantly required to assess the relationships that they are involved in, and to respond in a way that brings healing and growth to the other, while caring for oneself.